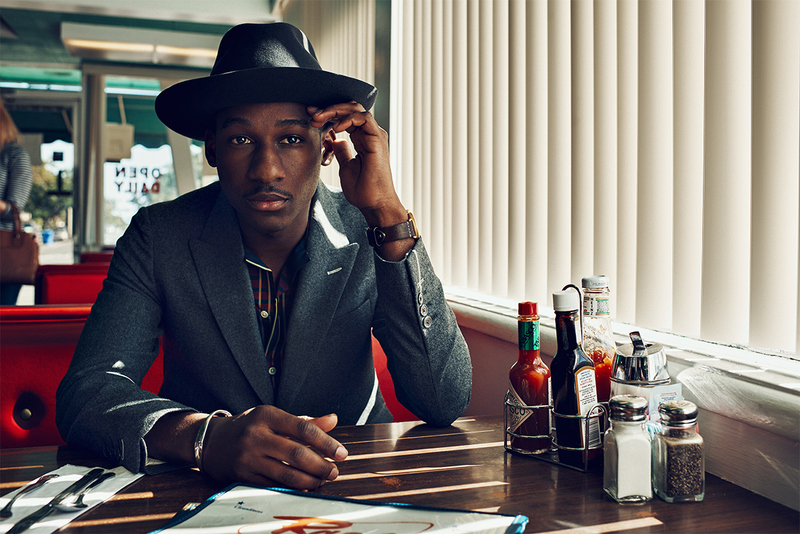 Jim and Greg sit down with Texas soul singer Leon Bridges. Leon's debut album, 2015's Coming Home, was drenched in a retro 1960s vibe reminiscent of Sam Cooke. For his sophomore effort, Bridges told Jim and Greg that he didn‘t want to be put in a box stylistically:“I wanted to make something that was reflective of all the styles of R&B that I dig.”Leon’s latest album, Good Thing, takes a complete 180; and marks his transition into an adventurous new sound that's more akin to R&B artists like Prince and D'Angelo. This week on the show Jim and Greg meet with rapper Common, who happens to be visiting his hometown. Common is currently touring to promote his sixth (and, some would say, best) album, Be. Jim and Greg note that most hip-hop artists don‘t have his kind of longevity. In fact, Common is at an age where he has started to balance his career with fatherhood. Greg, who visited the set of Common’s sultry video shoot for the song "Go," asks him how he‘ll be able to present his more adult side to his daughter. Fans of Common’s videos should also check out his most recent, and most cinematic, "Testify." Common actually performs "Testify" live for our hosts. This song was produced by longtime collaborator and fellow southsider Kanye West, and includes the producer's signature use of soul samples. For Be, Common also worked with ?uestlove of The Roots and rapper and producer J Dilla, who passed away just weeks before this interview. Dilla, or Jay Dee, has been a mainstay on the hip-hop scene, producing songs for De La Soul, Pharcyde, Janet Jackson, and D'Angelo. Dilla also worked with Common on Like Water For Chocolate, producing one of his biggest hits, "The Light." As Common explains, the loss of his friend and former roommate will be life-changing. And in his memory, the rapper does some freestyling over Dilla instrumentals — a first for Sound Opinions. Nick McCarthy of Franz Ferdinand: Neil Young, "Ohio"
Craig Finn of The Hold Steady: The Replacements, "I Will Dare"
Wayne Coyne and Steven Drozd of The Flaming Lips: John Lennon, "(Just Like) Starting Over"
The enigmatic neo-soul revolutionary D'Angelo is back after 14 years underground with the surprise year-end release of Black Messiah, the follow-up to his triumphant 2000 album Voodoo. Greg couldn‘t be happier to utter the words“new D’Angelo album,”as the multi-instrumentalist singer-songwriter is truly an R&B visionary. Black Messiah sounds like no other music out there. 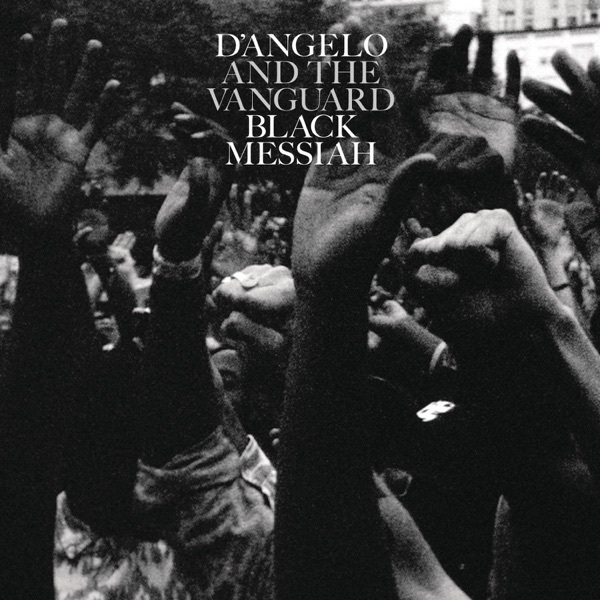 D‘Angelo’s meticulously layered and sensuous grooves aren‘t afraid of a little dirt and grime, which fit the record’s two overarching themes of love and war perfectly. Jim credits D'Angelo for being able to connect the dots within, and across, musical genres bringing the past into the present and pushing the present state of R&B into the future. The only problem either critic has with the album is that it came out after they made their best albums of the year lists, because Black Messiah is easily a contender for number one. An absolute Buy It for both Jim and Greg. After over a decade of music-making, Philadelphia quintet The Roots have earned a reputation as the best live band in hip hop. They've put out ten studio records, backed artists like D'Angelo and Erykah Badu, and rule the airwaves every night as Jimmy Fallon's house band. Has this caused the quality to drop off on the group's latest release Undun? Greg says not a bit. He named the record his second favorite of 2011 and he's not backing down. He especially wants to call out DJ Black Thought for some overdue props; Greg ranks him up there with Jay-Z. He says Buy it. Jim agrees, but unlike Greg, he's not loving the four-part classical suite that closes the album. It's beautiful, but out of place. In fact, the self-consciousness of the whole story underlying Undun - the rise and fall of a street kid - puts Jim off. It's a Buy It album, but not the band's best. 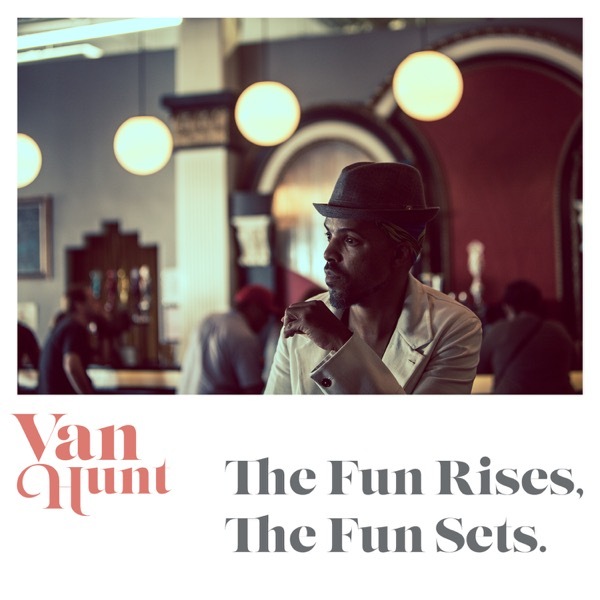 R&B/soul singer Van Hunt also has a new album out. His 2004 self-titled debut album was very well-received — listeners could hear the funk influences of bands like Sly Stone and Curtis Mayfield, as well as the more romantic, slow jams of singers like Marvin Gaye or D'Angelo. (And with a pimp for a father and a nurturing caregiver as a mother, Greg muses, Van Hunt's own family parallels his musical influences'.) 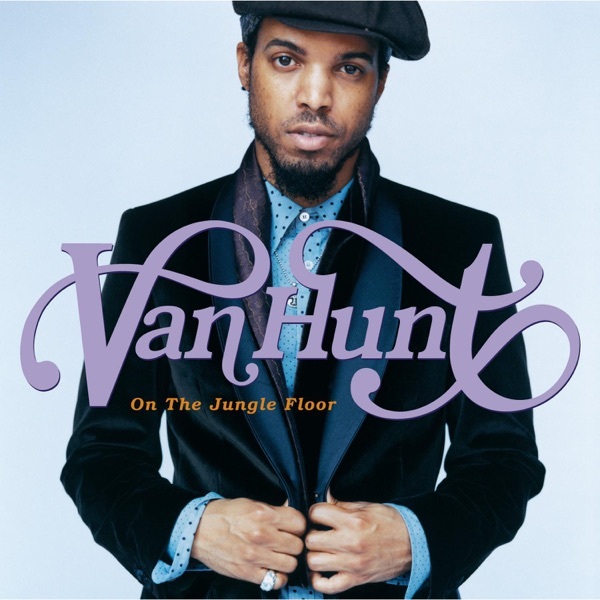 On On the Jungle Floor, Van Hunt stretches himself more. 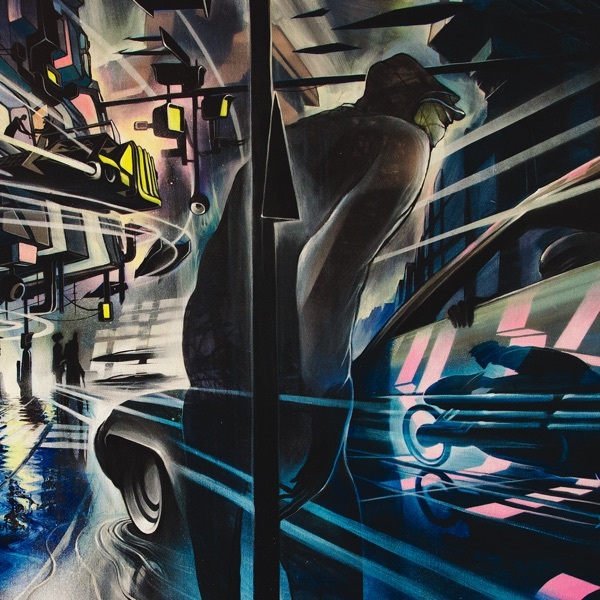 He makes the surprising choice to cover "No Sense of Crime," a punk classic by The Stooges. And, fans will hear the influence of yet another R&B/funk idol: Prince. However, both Jim and Greg assert that with this release, the grasshopper has surpassed the master, and rate On the Jungle Floor higher than Prince's new album 3121. It's a Buy It for both critics. 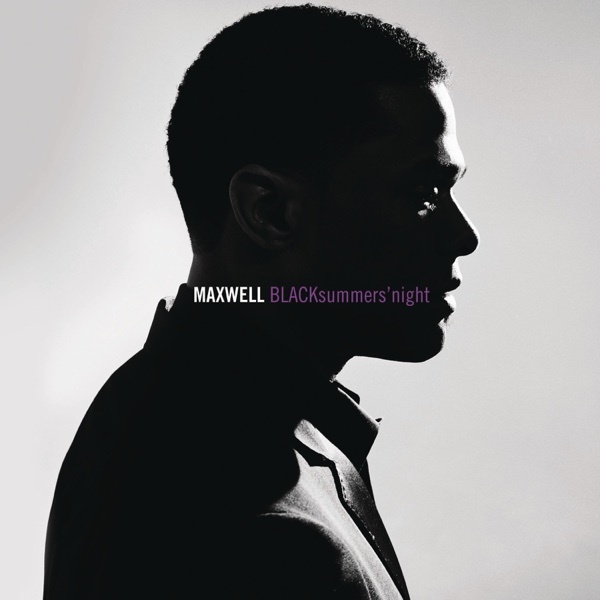 After breaking out of the neo-soul movement along side Lauryn Hill and D'Angelo, singer Maxwell took an almost decade-long hiatus. Now he is back with BLACKsummers'night. Greg likes that he doesn‘t hear anything trendy on this record. It reminds him of artier soul albums from the late ’70s. The hooks aren‘t in abundance, but it’s got grit. Greg gives Maxwell a Buy It rating. Jim wishes he could be as enthusiastic. There are a couple of great songs, but for the most part he found the album sleepy. He wishes Maxwell threw a little more fire into BLACKsummers'night and gives it a Try It. 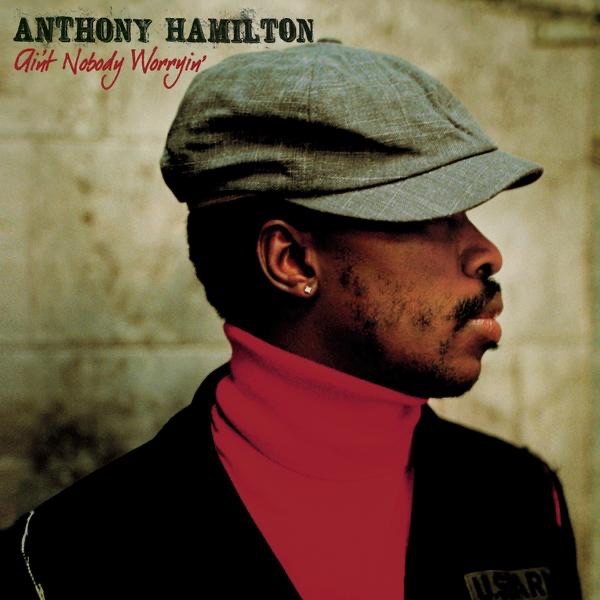 Next up is a review of Ain‘t Nobody Worryin’, the new album from Anthony Hamilton. This R&B singer reminds both critics of classic vocalists like Bill Withers and Bobby Womack. While keeping his day job as a barber in in Charlotte, North Carolina, Hamilton began recording. He sang back-up for D'Angelo on his Voodoo our, and eventually caught the eye of mega-producer Jermaine Dupri during a Grammy performance honoring Stevie Wonder. While Greg initially objected to the lack of up-tempo songs, both he and Jim appreciate the quality of the songwriting and the substance of the lyrics. Therefore Ain‘t Nobody Worryin’ gets two Buy It ratings. 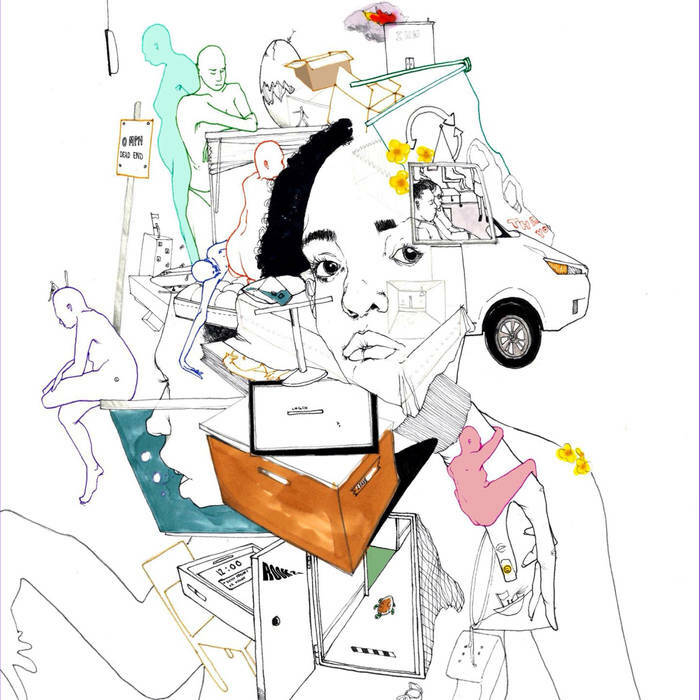 Noname is a rapper whose poetic roots shine on her debut studio album, Room 25. According to Greg, each listen to the album reveals new meaning. Jim notes that though this is the 26 year old rapper's first studio album, she's given us material for years through her many collaborations with other young artists out of the new Chicago school of hip-hop, including Chance The Rapper, Donnie Trumpet, and Saba, as well as through her well-received first mixtape, Telefone. This album finds her collaborating with up-and-comer Phoelix on production which, according to Greg, results in a 1990s East Coast hip hop sound. 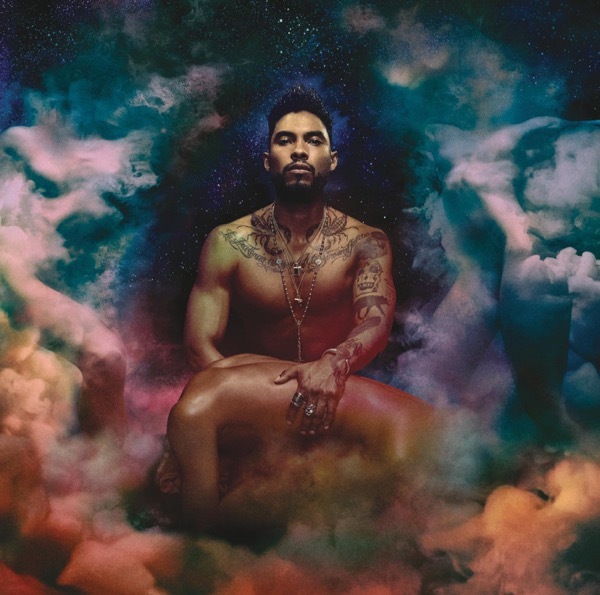 Jim adds that the vibe of the record is also reminiscent of artists like Common and D'Angelo (he notes that D'Angelo even gets a shoutout on the track "Don't Forget About Me." Room 25 marks a coming of age for Noname, and for both Jim and Greg, it proves that Noname is among the most exciting female voices in hip hop today. Recently Greg's been thinking about whatever happened to soul singer D'Angelo. He made what Greg would consider a masterful album in 2000. Voodoo put D'Angelo at the heart of the neo-soul movement, but that's the last we‘ve heard from him. Greg can’t explain the disappearance, but he can relive the singer's glory days with this week's Desert Island Jukebox song "Devil's Pie." This week, it's Greg's turn to take a trip to the desert island jukebox and play a song he can't live without. 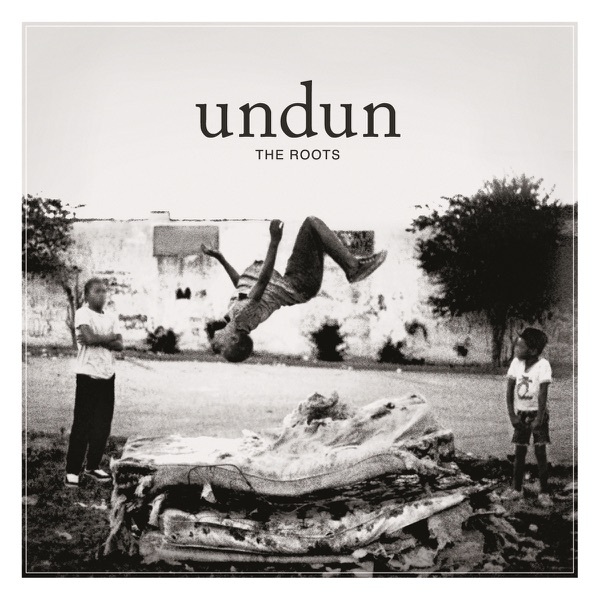 He celebrates the 20th anniversary of The Roots' album Things Fall Apart by picking "The Next Movement." Greg notes that the late '90s/early 2000s were a golden era for hip hop, combining conscious rappers like Common and Black Thought with singers like Erykah Badu and D'Angelo. This blend is brilliantly on display throughout Things Fall Apart, and particularly on the track“The Next Movement.”Greg highlights lyrics that recognize the significance and rising popularity of black culture, and notes that every track on this record is solid as ever today. Art Brut, "Formed a Band"
Girl Talk, "Play Your Part (Pt. 1)"
Fiona Apple, "Not About Love"
DJ Danger Mouse, "December 4th"
The Flaming Lips, "Do You Realize"
Grandaddy, "Yeah Is What We Had"
Glenn Mercer, "Days to Come"
Nick Cave and the Bad Seeds, "We Call Upon the Author"
David Byrne and Brian Eno, "The River"
Ida Maria, "I Like You So Much Better When You're Naked"
Neko Case, "People Got A Lotta Nerve"
For what has become a recurring segment on Sound Opinions, Jim and Greg again don their white lab coats and assume the role of Rock Doctors. This week's patient is Julie, a listener who needs Drs. Kot and DeRogatis to prescribe some new music for her ailing ears. Julie consumes a steady (and stale) diet of Stevie Wonder, Ella Fitzgerald and Lauryn Hill. So, what do Jim and Greg prescribe to bring Julie into 2006? Jim keys into how Julie appreciates Ella Fitzgerald's vocals and recommends L'Altra. He knows this is a risky (non-FDA) approved medication, but thought he'd go out on a limb and ask Julie to check out the latest album from the Chicago duo. His second remedy is D'Angelo's Voodoo. He knows Julie likes dense, layered R&B like that of Lauryn Hill and Stevie Wonder, and thinks Voodoo, though much darker and moodier, is one of the best R&B records made in the last decade. Greg also keys into Julie's appreciation for songwriting and strong vocals, and gives her a dose of Jill Scott. He thinks that the patient will appreciate the way Scott describes the world and the way she playfully uses her voice. His second prescription is John Legend's debut album Get Lifted. Though Legend is often compared to singer/songwriters like Stevie Wonder, Greg thinks he brings that genre forward in a wonderful way. A week later the patient returns to the Rock Doctors to let them know how she's progressing. While she appreciated the Jill Scott record, she found the songs almost too clever. Still, she wasn‘t completely turned off by this remedy, and also understood why Jim would prescribe her the D’Angelo — but that didn‘t really hit the spot. In fact, she completely forgot that she bought and listened to this album years ago. L’Altra overwhelmingly had the worst side effect. This patient can appreciate alternative medicine, but even a spoonful of sugar didn‘t help this album go down. By far the big winner of the bunch was John Legend’s Get Lifted; Julie loved this album. Sound Opinions hopes that it was just the right cure to keep her healthy and full of good, new music. After recovering from the intense musical spectacle at this year's Superbowl, viewers were ready for the Grammy Awards. But, it seems 11% less viewers were ready. Those that tuned in witnessed Beck's surprise win for Album of the Year and the coronation of Sam Smith as pop music's new prince. But, they also had to sit through an out-of-left field tribute to ELO and bizarre performance pairings including Jessie J and Tom Jonesand Ed Sheeran and Herbie Hancock. As always, Jim and Greg note that the collection of Grammy-winning tunes and albums does not provide an accurate picture of what was really the best of 2014. A better barometer has always been the Village Voice Pazz & Jop Poll of critics. This year's list includes D'Angelo, St. Vincent and even Taylor Swift. An even better barometer? Sound Opinions' Best Albums of 2014, of course!